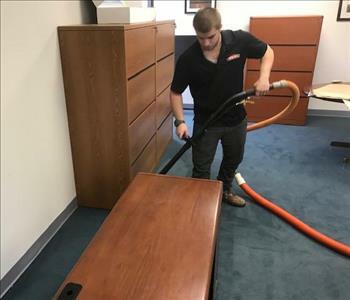 Jake Griest is one of our lead technicians here at SERVPRO of The Main Line. He is coming up to his one year anniversary and is skilled in may areas of restoration. He is one of the few technicians that has the stomach to clean up anything that comes his way. He has the following certification from the Institute of Inspection Cleaning and Restoration Certification (IICRC): Water Removal Technician. He is also been hands on trained in bio-hazard recovery, sewage damage remediation, and mold remediation.